In the first part of our interviews with Maurits van de Velde, we got a fascinating insight into the job of a young project engineer. As the interface between customer and production, Maurits follows new components consistently from the sample phase through to series production. How did it all start? Could you describe your career at GKN? I started working for GKN whilst I was still a student. After writing my bachelor thesis here, I worked in the Advanced Technology department whilst studying for my Masters. Then I was taken on as a Project Engineer for product and process development for customer queries about new parts. There are quite a lot of challenges with this job, but I really enjoy it. When you were studying for your degree, did you learn much about Powder Metallurgy (PM) or is it only since you have been with GKN? I didn’t learn anything about it in my first few terms studying mechanical engineering. It was only when I started at GKN, as part of my degree, that I got to know about this technology. Whilst studying for my Masters I was able to use every free day I had to join in projects and get to understand Powder Metallurgy even better. I think I’m reaping the benefits today, as I acquired an in-depth knowledge of the whole process. Although I’ve only been on a permanent contract for a year, I can already look back on several years’ experience in PM. As a Project Engineer, are there lots of routine tasks in your daily working processes? No, actually my normal working day is very varied, particularly because this sort of project always proceeds in various different stages. In the first phase I check its technical feasibility internally, and prepare a cost estimate. Before hopefully the contract gets awarded, the design and tolerances are fixed in an intensive exchange of ideas with the customer. The aim is a result which both sides are happy with. You should also plan several iteration loops into this. After this phase we produce samples for the customer for testing, until definite and reliable series production can start. And considering that I am never looking after just one customer, it’s anything but a standard process. Every week is different for me. But that’s exactly what most people want! Well I do, at least (laughs). Is there a difference in how you handle existing customers and new customers? Very good question, there certainly is! With existing customers, we have usually been working together for quite a long time. So they obviously know a lot more about the subject of powder metallurgy. But it’s no less fun working with new customers. 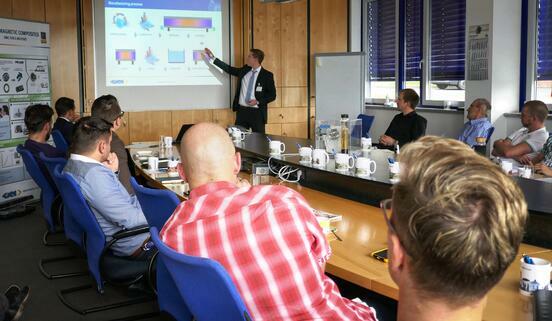 We regularly hold Innovation Days (Tech Days) for them, which are in the form of little workshops we run directly on our customers’ sites (or prospective customers). At these interactive events we specifically address the customer’s questions and needs, and share our knowledge about all the benefits of design with powder metallurgy. What part does innovation play in your normal working day? Innovation plays a very large role in my working day, particularly as we focus on this specifically with our customers. The way we approach things is designed to develop the best possible individual product solution together with our customer. We want to design the products of the future together! We also work on innovative projects entirely without specific customer enquiries, like we are doing here within Hydrogen Technology for instance. 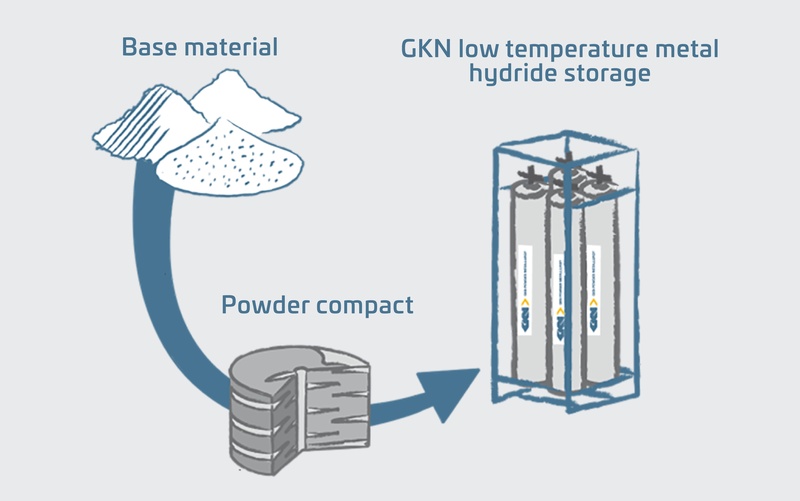 Here GKN explores the role metal hydrides play to ensure safe and reliable zero-emission energy storage for residential applications. And the major role which innovation plays in the production process is something I have already explained using the example of the presses I developed myself. How important is creativity in your job? Creativity is very important in my job, as we generally first introduce customers to the process, demonstrate the possibilities of the technology to them, and explain our way forward ultimately to product development. So I’m not just a project manager, but pretty much also a designer, developer and engineer all at the same time for a new project! Is there one particular working environment in which you are at your most creative? In the Innovation Center in Radevormwald, for instance, where I worked whilst I was a student. There are modern offices which look like a place where you would rather expect start-ups or really young companies. I really enjoyed unleashing my own creativity there and becoming a forward-thinker! I also think it is very important that you create relaxation spaces at work, so that you can get away from your desk for a while. GKN has started doing something like this, but not a lot yet. I’m excited to know where the journey will take us.